The state's medical marijuana authorization form — more specifically, one section on that form — is reaching into TMI territory for some users. The section in question, titled "Attestation of Healthcare Practitioner," states in part, "I am licensed in the state of Washington and have diagnosed the above named patient as having the following terminal or debilitating medical condition..."
Thirteen options, including cancer, HIV, post-traumatic stress disorder and Hepatitis C, are listed. Some users feel like this section, which wasn't on the authorization form used prior to July 24, 2015, is an invasion of their privacy. "I have a problem walking into a 502 store and handing them a piece of paper that tells them what I have," Kirk Ludden, an HIV-positive medical marijuana patient, told the Stranger last month. "I have no issue sharing it with people I know and sharing my story. That's my choice to share or not to share. I should not be made to share it." 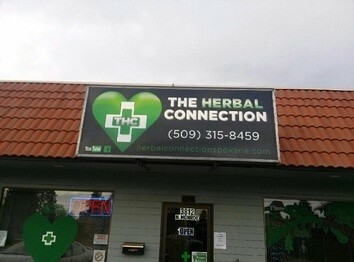 Aly Poor, secretary at the Herbal Connection, a local medical marijuana dispensary, says she hasn't heard any complaints from users, but understands where those who have complained are coming from: "When I first heard about the new form, I thought, 'That's a little bit much. What if they don't want everyone to know what their diagnosis is?'" Poor, who reviews paperwork and registers patients, says she doesn't look too closely at the qualifying condition section. Once a patient is registered, they go into the bud room. "They'll talk to the budtender about their medical problems if they're comfortable with it, and from there, the budtender will determine what would work best," Poor says. To counter complaints, Kristi Weeks, the Department of Health's legal services director, told the Stranger that the form is optional, though the patient's benefits will be limited. She also says that patients are only required to show their authorization form once a year, when they sign up for the state's registry, and again upon renewal. Once registered, Weeks says that users receive a "patient recognition card," which does not list their condition, and stores are not allowed to retain a copy of a patient's authorization form.